Since its premiere, in January I’ve been really struggling to get into the Black-ish spinoff, Grown-ish. Grown-ish follows the oldest child of Dre and Bo—Zoey, on her college journey. I’m a huge fan of Black-ish and Yara Shahidi, so I was really interested in seeing where this show went. I’ve been watching every week, hoping I would get more into it, and it just hasn’t happened. I don’t hate the show by any means, and some episodes bring up great discussions such as the struggles of college athletes and the double standards of bisexual men vs women, but I’ve been finding it hard to really love the show. The last straw for me came with last week’s episode, “It's Hard out Here for a Pimp” where they discussed dating in college. In the episode, they discuss how dating is harder for some groups, particularly black women. Throughout the episode, Chole and Halle’s characters start to call out the various men of color on campus for being only attracted to light skin girls. 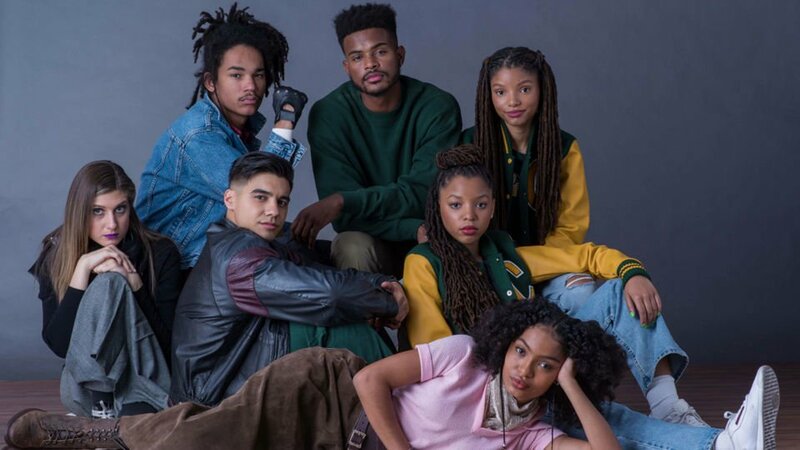 While the message was attempting to be progressive, I was just staring at the screen pure confused because the entire cast of Grown-ish IS light skin, Save for Trevor Jackson, everyone on the cast is passing a brown paper bag test. At the most, you could call Chloe and Halle “brown skin” (or whatever y’all want to call it), but they sure as hell ain’t dark. This has been a criticism the show has received since the cast was first announced. Blogger, Wanna, wrote a fantastic piece about the erasure of dark skin people on the show. I too had been holding onto the hope that maybe, just maybe, they would have listened to the hundreds of dark skin people calling the show out and give us just one person, one woman, and it has not happened. This episode felt like a slap in the face. I don’t understand how we are following Zoey at a college in Los Angeles, where there are dark skin black people everywhere, and yet everyone on this campus light skin. We couldn't even get a dark skin guest star? Watching the episode, I was baffled on how the writers understand colorism enough to do a whole episode on it and why it’s a problem, but those same cast and crew members refuse to actually give dark skin women jobs? How? Shahidi, (who I love) was quick to get online and defend her blackness as a mixed race person but hasn’t said a word about why no dark skin women are allowed on the cast. Why is that? Where is Kenya Barris on this? Why has no one from the cast or crew addressed this serious issue of colorism that has constantly been brought up to them? Was this one episode their way of addressing it? Does that mean you’re going to now actually hire dark skin people? Didn’t think so. What was the point of all this? It feels like a “just take it and shut up” episode and I was so turned off by it. We are going backward. Black-ish and Grown-ish are the biggest (and really the only) black sitcoms on television right now, in this year 2018, there is no reason why we should not be able to have dark skin people on television. This feels very much like the 90s where dark skin women were actively being pulled off television, and replaced with mediocre light skin women simply because “dark skin doesn’t sell”. Well, I don’t know where the Grown-ish fam has been but the biggest movie in the world right now, Black Panther, is starring a primarily dark skin cast, raking in over a billion dollars, so what is your excuse? I need both Black-ish and Grown-ish to get it together. You can’t be pro-black and anti-dark skin people at the same time.